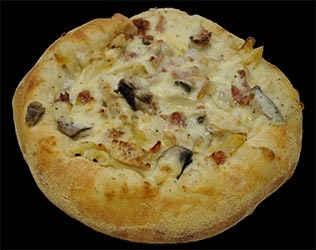 Chicken Carbonara Chicken Carbonara pasta  - $6.99 : South Shore Pizza & Subs Apollo Beach Ruskin Sun City Wimauma, South Shore Pizza delivers the freshest, best tasting, pizza and sub sandwiches in South Shore pizza! Penne pasta topped with grilled chicken breast, bacon, freshly cut onions, fresh mushrooms and smothered in alfredo sauce. 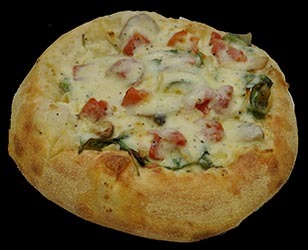 Individual sizes are served in a bread bowl.